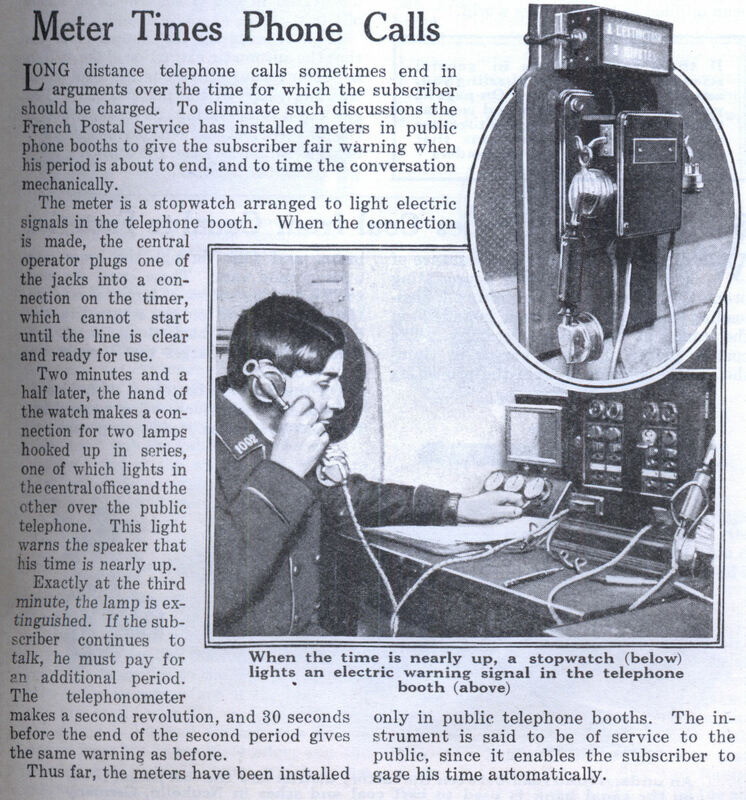 The meter is a stopwatch arranged to light electric signals in the telephone booth. When the connection is made, the central operator plugs one of the jacks into a connection on the timer, which cannot start until the line is clear and ready for use. Two minutes and a half later, the hand of the watch makes a connection for two lamps hooked up in series, one of which lights in the central office and the ether over the public telephone. This light warns the speaker that his time is nearly up. Exactly at the third minute, the 1 amp is extinguished. If the subscriber continues to talk, he must pay for an additional period. The telephonometer makes a second revolution, and 30 seconds before the end of the second period gives the same warning as before. Thus far, the meters have been installed only in public telephone booths. 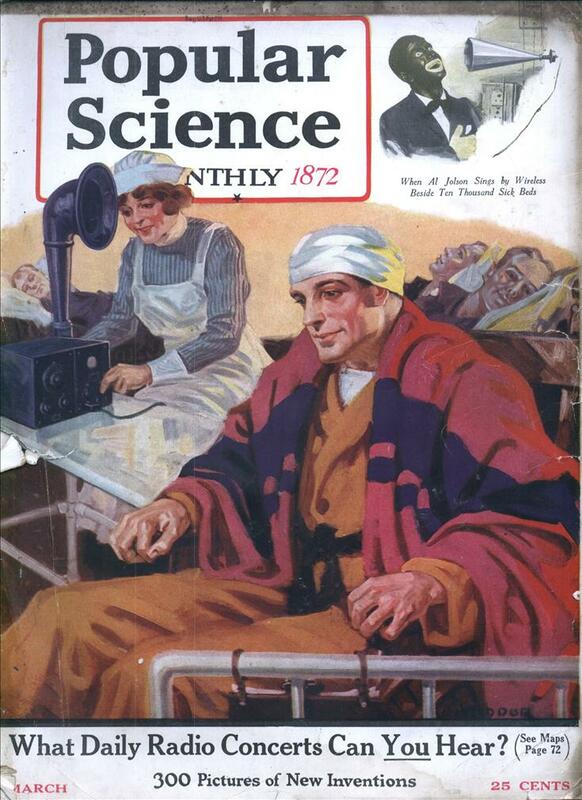 The instrument is said to be of service to the public, since it enables the subscriber to gage his time automatically.